One of my team members showed me this card sketch. It's easy to do. Score one sheet of card stock at 5 1/2". Turn and score at 4 1/4". 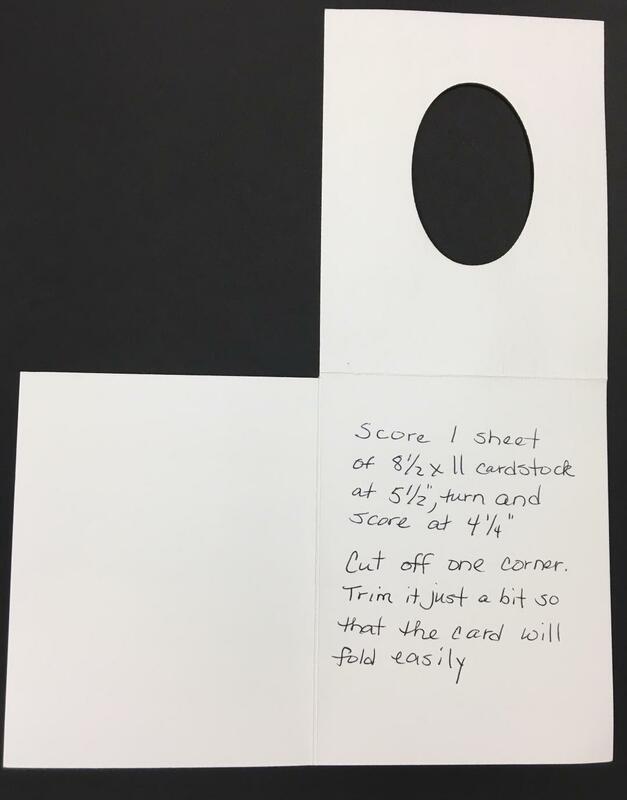 Cut off one corner, trimming just a bit more so that the card closes easily. See example below. 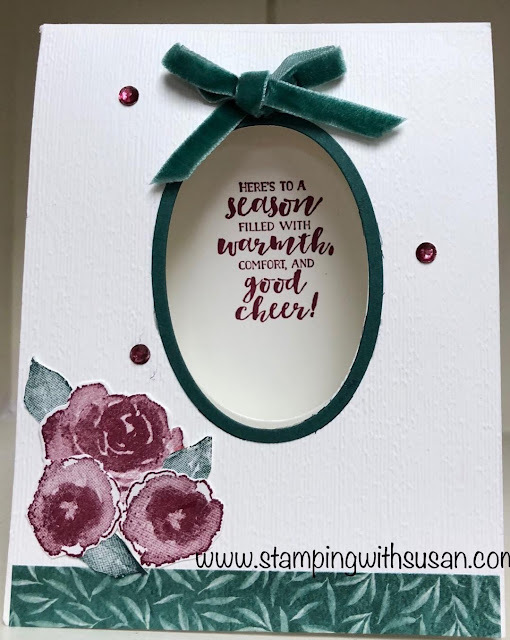 I die cut ovals on the first and second layer, then stamped the greeting through the ovals onto the last layer. I used the elements from the Frosted Florals Suite to embellish each layer.